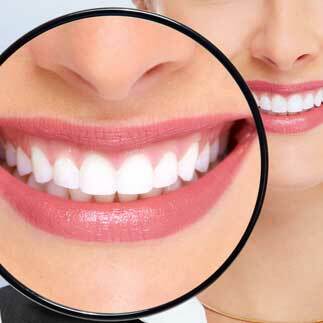 Teeth whitening has become increasingly popular over the past several years. Just looking at the variety of over-the-counter whitening products will prove that! And it’s no wonder that it has become so popular. After all, studies show that a more attractive smile helps to boost your self-esteem and make you feel more self-confident. But before you decide on trying one of the drug store whitening systems, remember this: OTC products are never as effective as the professional whitening products available from your dentist. Dr. Klingsporn provides teeth whitening kits to his patients from throughout the Austin, TX area. Studies show that people feel better about themselves if their smile is attractive, and teeth whitening is the easiest way to improve your smile! the whitening agent used by Dr. Klingsporn is much stronger than most OTC products. That’s what makes professional teeth whitening so effective! While whitening your teeth can definitely improve the appearance of your smile, it’s important to remember that it may not be the right choice for everyone. If your teeth are sensitive to hot and cold food and drinks, the whitening agent used may temporarily make that sensitivity worse. Remember also that whitening products don’t work on dental material, such as that used in fillings and crowns. And, of course, you’ll have to repeat the teeth whitening process from time to time to keep your teeth at their brightest. For more information about professional teeth whitening, or to schedule an appointment with Dr. Klingsporn, contact our Austin, TX office today.